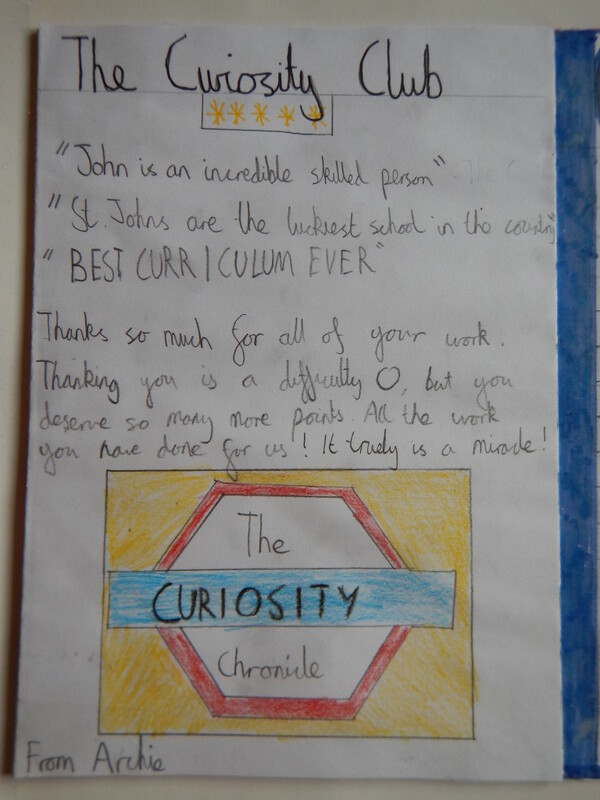 ” Firstly I would like to thank you too for assessing my work, your help when I was confused and giving me high points. 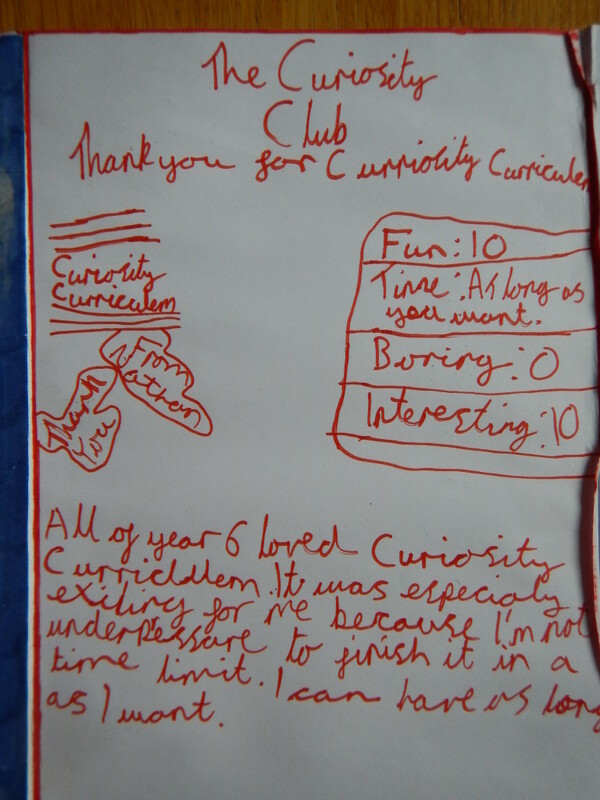 Below is my feedback about cool curiosity club. Although this club didn’t turn out as I was expecting it, it was amazing and still allowed me to learn more about the past and our amazing history. 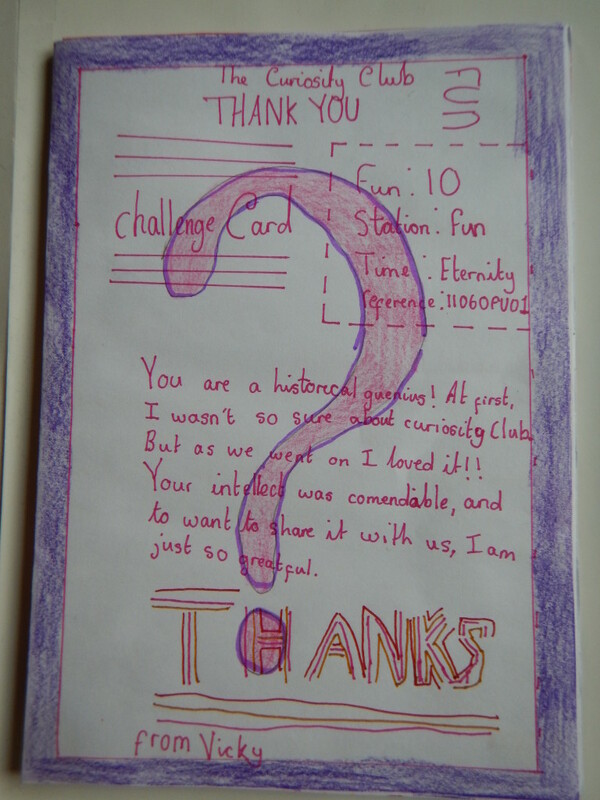 Throughout curiosity club, I gained knowledge about some important subjects, and completed some interesting challenges. 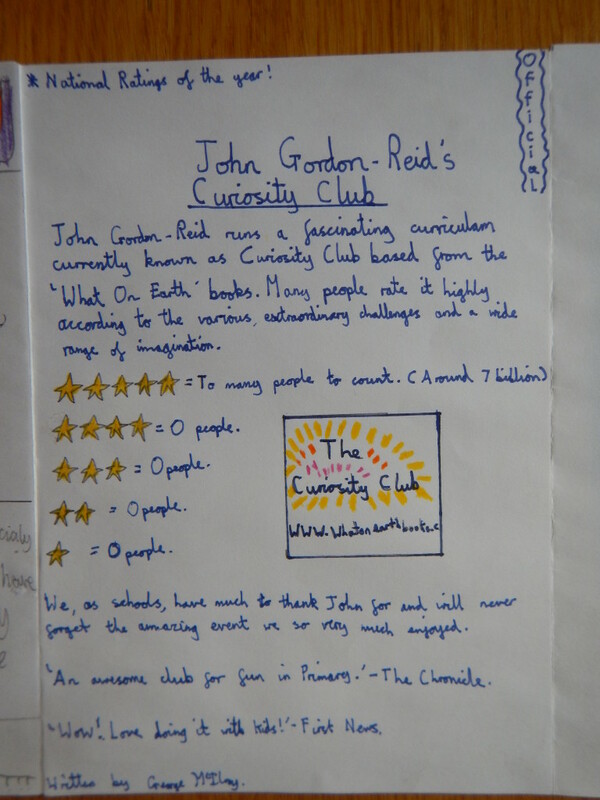 I think that curiosity club is a great way to learn, as the helpers are awesome, the challenges are simple and straightforward, there are no restrictions, and there are no right or wrong way of completing the challenges and its fun! I have gained knowledge that I know will become useful in lessons and in the future. 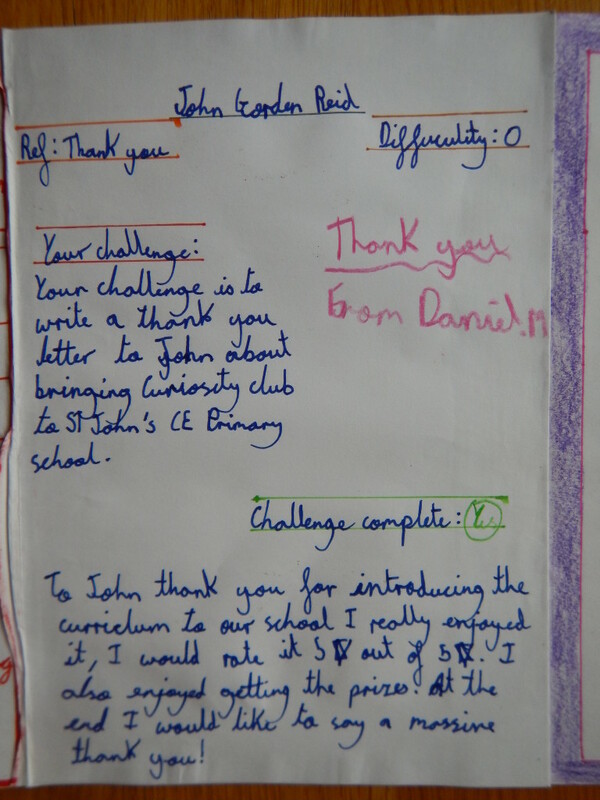 I am sure if I didn’t attend this club I wouldn’t have had the opportunity to learn about some fascinating things. Moreover there are a range of challenges with different difficulty levels, therefore there will always be a challenge made just for you. Either you can complete the challenge quickly with fewer points or you can spend some time, earn a lot of point, and learn loads. 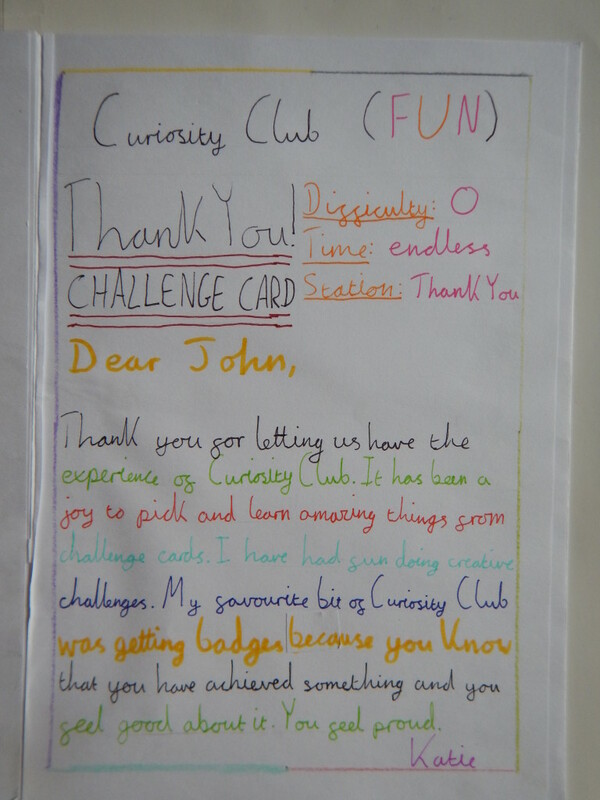 For me, curiosity club has been amazing it has allowed me to present my talents and skills, allowed me to show how competitive I am, allowed me to try out new things, improved my research skills and most importantly taught me some awesome facts. Be aware- this club is like no other! 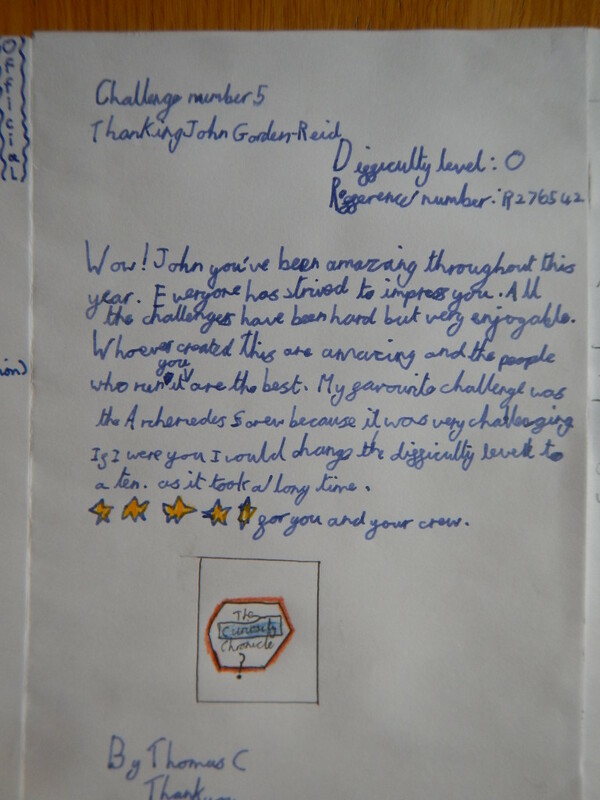 I would just like to say a big thank you to all those whom have worked together to create this challenge, you certainly deserve a well done for your effort, time and intension.